Shawn Doyle CSP is a leading motivational speaker in America. Shawn is the author of 18 books (many of them on motivation and inspiration) and is a Certified Professional Speaker (CSP) as designated by the National Speakers Association. Only 8% of speakers in the world are CSP’s. He speaks over 100 times each year in The U.S., Canada and The U.K. His client list is made of many of the Fortune 500 companies. Clients say that when he speaks, he makes any topic fun engaging and relevant and brings energy to any room. I previously worked with Shawn @ Comcast, but after ~7 years our paths crossed again today via SOCAP Greater Philadelphia Chapter STAR event. Shawn spoke at our event and truly captured the spirit of the special celebration and left the crowd with a motivational framework that connected with everyone in attendance. I would encourage you to connect with Shawn and hear him speak about how motivation can impact your life in a positive way. 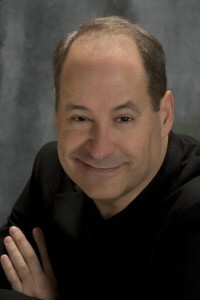 Shawn Doyle is a leading motivational speaker with a certification by the National Speakers Association. Shawn is exceptional! If you want a speaker to motivate and inspire your team he is the best addition to your conference. He will make them laugh, make them cry and they will jump to their feet when he is finished to provide a standing ovation. Shawn’s audiences are always engaged and enthralled by his stories, strategies and sense of humor. If you want a speaker who will work closely with you, provide incredible value with his additional books and CD’s and help make your event memorable, HIRE Shawn Doyle! Shawn is authentic, talented and one of the best brains I have ever met. I highly recommend him. I have know and worked with Shawn Doyle for many years. We have worked and interacted together in many areas…as a speaker, trainer, coach and as an author. How lucky am I? As a speaker and trainer, Shawn asks the right questions to create and deliver the program to an audience that is spot on and one that the client had asked for. Brilliant! As a coach, Shawn is thoughtful, insightful and informative. He knows how to get to the heart of the issues and allow the person to find the answers to help them self. His coaching is productive, corrective and stimulating. Excellent! As an author, Shawn is a prolific writer and is intuitive and just knows what an audience is interested in. His writing is filled with spirit, information, guidelines and is fun, funny, inspirational and always from the heart. Wonderful! As I said, how luck am I to know Shawn Doyle and to have had many opportunities to work with his all these years. Thanks Shawn!!! If you're interested in booking a leading motivational speaker for your event, please send a message to Shawn here.